The Luckenbooth was associated with Mary Queen of Scots. It was also given as a love token or a talisman to ward of evil spirits. 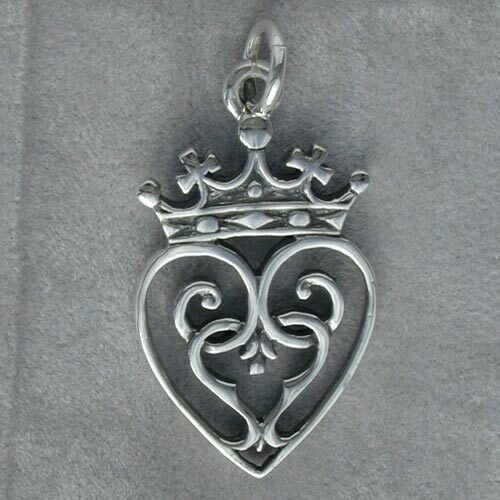 There are many variations of the design, this one has an adorned crown and two interlocking hearts. Hallmarked at the Edinburgh Assay Office Sterling Silver. The pendant is supplied with a presentation box. Scottish Celtic Jewelry recommends you choose the minibel chain to go with the pendant.